The toolset went unmentioned during Monday's keynote, but has appeared as an upcoming WWDC 2018 video on Apple's developer portal. Clear hints of extended Web support appeared on Sunday, when webpages emerged with options to sign into Apple Music instead of just listening to song samples or launching iTunes. After logging in, users were able to listen to entire songs, albums, and playlists, though they couldn't create new playlists or browse through personal libraries. Web support has been a small advantage of Apple rivals like Spotify and Pandora, giving people the option to listen to music in situations where they can't use a dedicated client on their computer, phone, or tablet. Workplaces, for example, may block people from installing the dedicated Spotify app on a Mac or Windows PC. 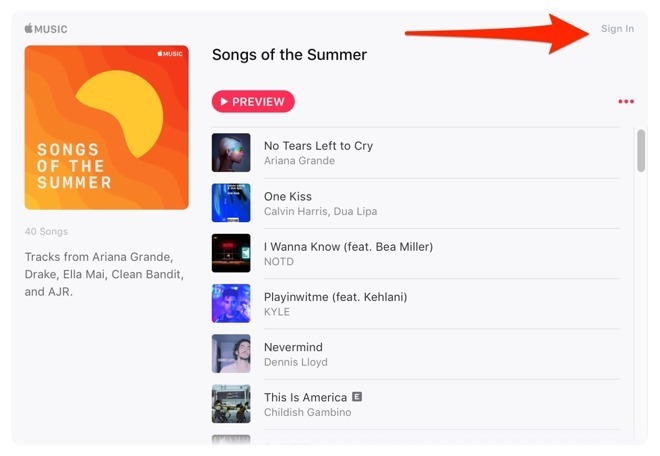 iOS 12, coming this fall, should enhance Apple Music further with additions like song search by lyrics and improved artist pages. More changes will likely be discovered as developers experiment with betas.